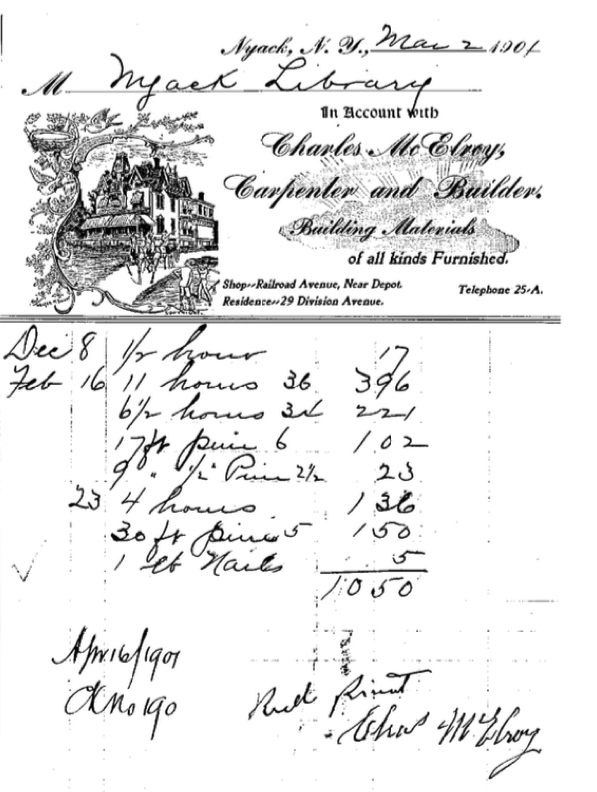 Soon after Charles McElroy returned from the Civil War, he removed to Nyack and started a carpentry business. See below for some interesting articles and documents. From the Rockland County Journal, 17 Aug 1895.